Get your ideas down quickly and draw, write or print onto the cardboard covers with these flexible, Singer-bound journals. 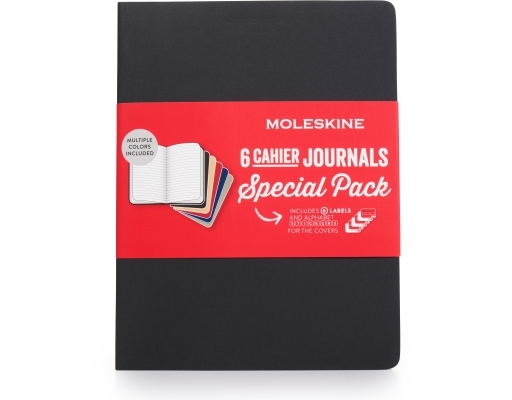 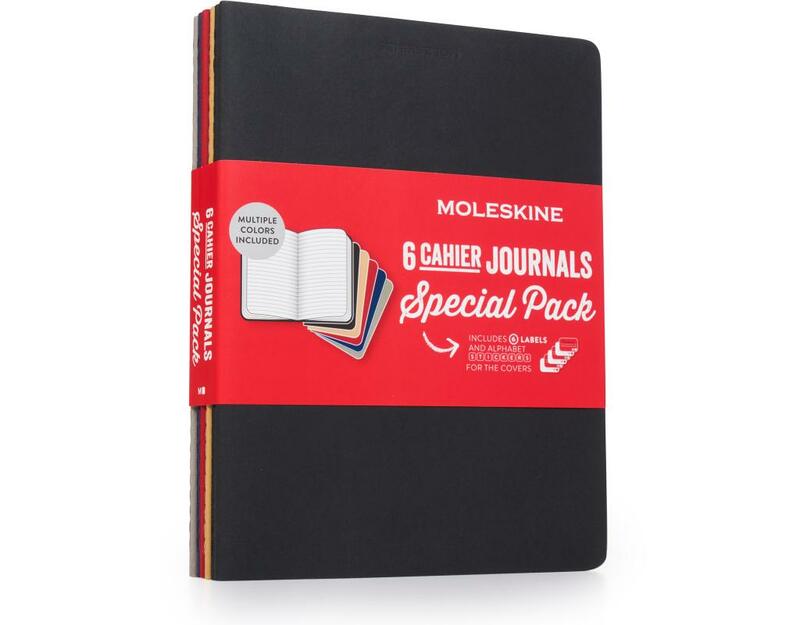 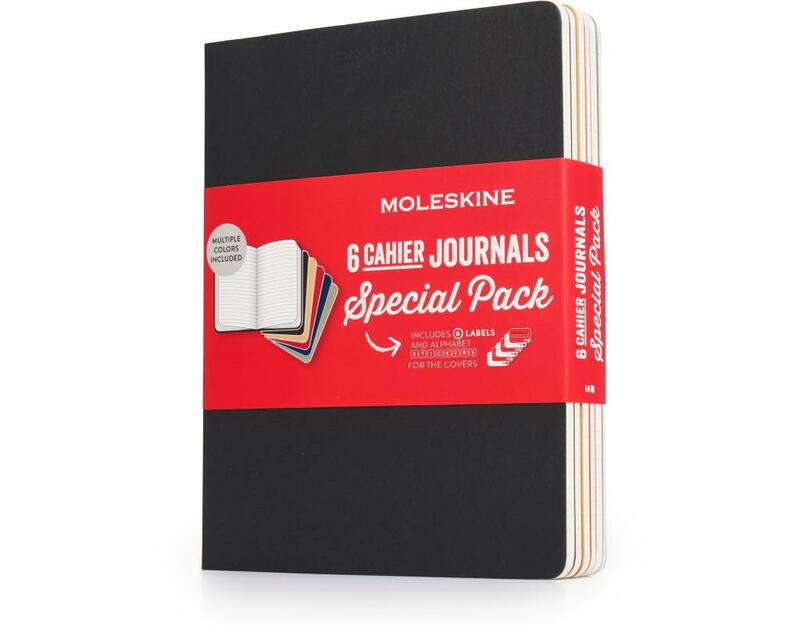 The Moleskine Cahiers feature a flexible heavy-duty cardboard cover in assorted colors and visible stitching on the spine. 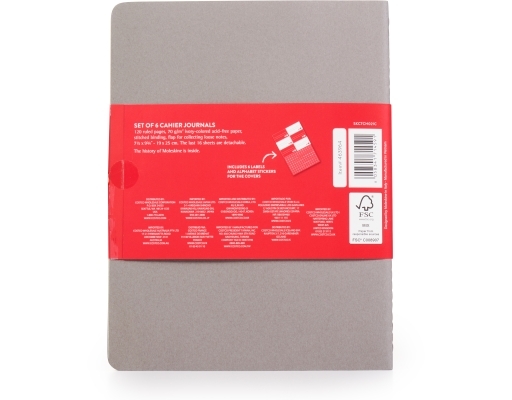 The last 16 sheets are detachable and there is a pocket for loose notes. 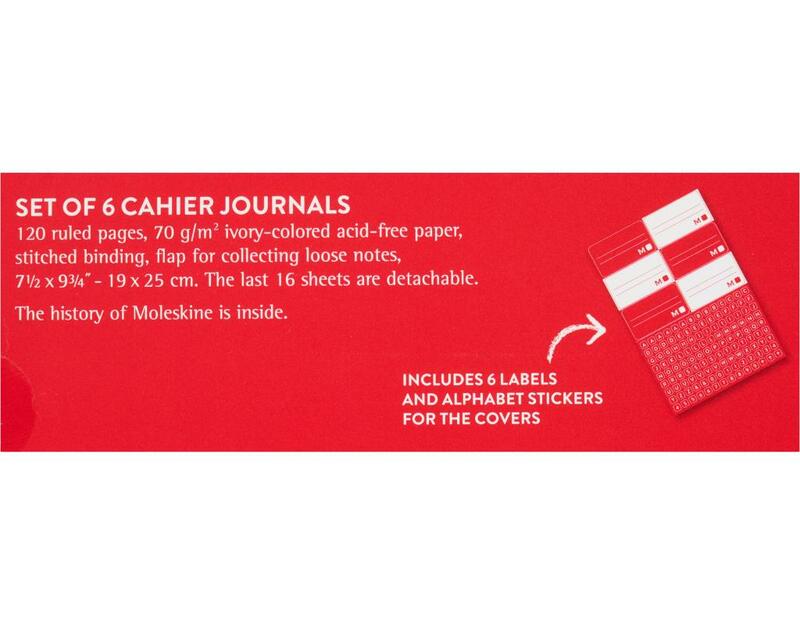 Includes 120 ruled pages, 70 g/m^2 ivory-colored acid-free paper and a flap for collecting loose notes. The last 16 sheets are detachable. 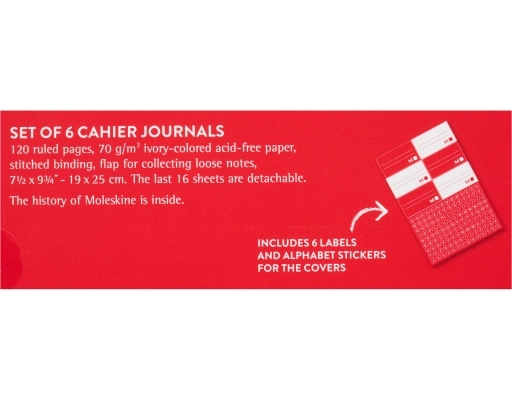 • 7 1/2" x 9 3/4"
• Includes 6 labels and alphabet stickers for the covers.